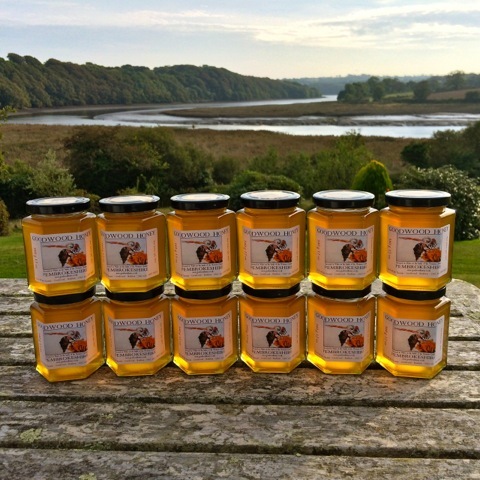 A wild Pembrokeshire honey, harvested in the National Park, on the banks of the Western Cleddau. Our local honey is the result of foraging pollen and nectar flow from wild flowers and tree blossoms, including Bluebells, Hawthorn, Bramble, Clover, Lime, fruit trees and numerous wild meadow flowers. We are based at Boulston in the Pembrokeshire National Park, on 4 acres of riverside amongst the ancient woodland of the Cleddau Estuary. This part of the estuary is protected as a Site of Special Scientific Interest and the local flora and fauna are abundant. Goodwood Honey is coarsely filtered, and receives no heat treatment preserving all natural elements and flavours. Every harvest is subtly different depending on the foraging and time of year. If you would like to be kept in touch with the various harvests we make, please register your interest at the foot of this page. 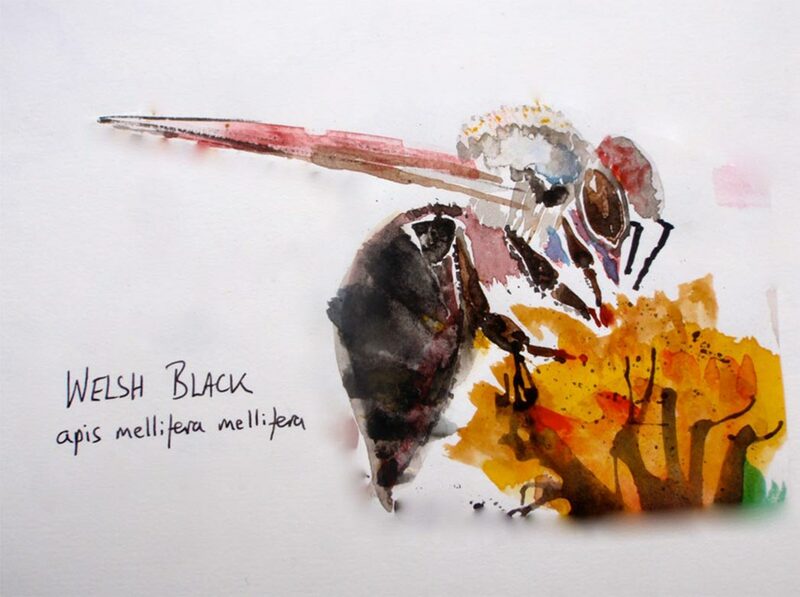 Our bees are Welsh Black Bees – hot tempered but great workers. 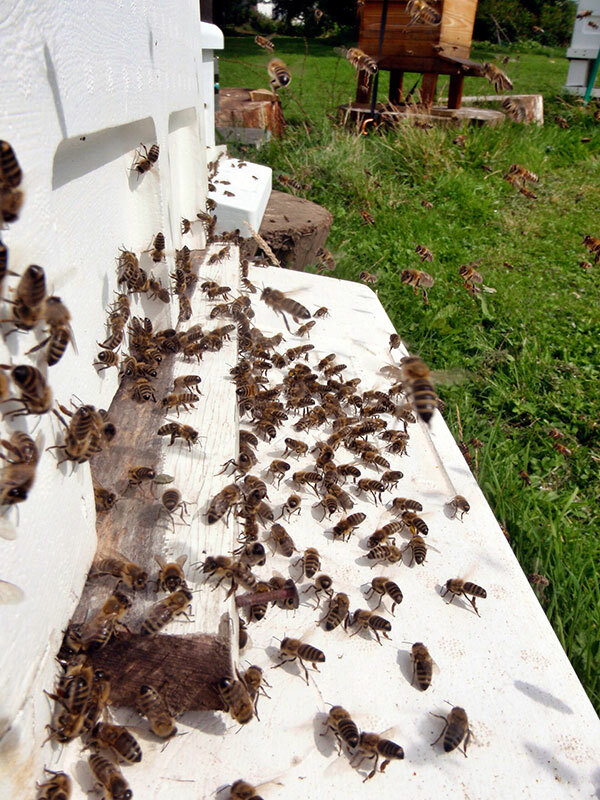 We had both Spring and Summer honeys tested at the Cardiff School of Pharmacy in July, as part of their project to identify Manuka-like properties in Welsh honey. After a dialogue with Prof. Les Baillie and his PhD student Jenny Hawkins, we were pleased to learn that, in fact, Goodwood Honey does have good activity against MRSA in the laboratory!